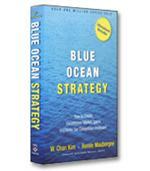 Blue Ocean Shift draws on more than a decade of new work since W. Chan Kim and Renée Mauborgne wrote the classic Blue Ocean Strategy. The authors show how to move beyond competing, inspire your people’s confidence, and seize new growth. Their step-by-step guide will lead you through how to take your organization from a red ocean crowded with competition to a blue ocean of uncontested market space. Blue Ocean Shift shows why nondisruptive creation is as important as disruption in seizing new growth. 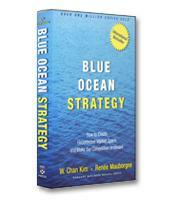 When Blue Ocean Strategy was published in 2005, authors W. Chan Kim and Renée Mauborgne upended traditional strategic management practices. They argued that traditional cutthroat competition tactics produced nothing more than a “red ocean” of bloody rivals chasing a shrinking pool of profits. Lasting success, they argued, lay in “blue oceans” –– untapped markets with limited competition that were ripe for exponential growth. Over 3.5 million copies in 44 languages later, the book became a strategic management classic. 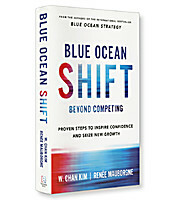 Kim and Mauborgne’s new book, Blue Ocean Shift: Beyond Competing –– Proven Steps to Inspire Confidence and Seize New Growth, is a direct response to those companies that found the transition from red ocean to blue to be more challenging than they first thought. Companies and governments that found themselves stuck in red oceans blamed bureaucracy, traditional thinking and a lack of creativity. Recognizing that your company or government department is trapped in a red ocean is a critical first step, but the ability to identify and reach a blue ocean requires a change in mindset as well as a change in skillset. Get Started. A single product/service company or a startup has no difficulty here. Existing companies with multiple offerings must decide which product line or division within their portfolio to move. The authors provide a tool called the pioneer-migrator-settler map to help with this. Building the right team to lead the move requires a delicate balance between representation from functional departments and the right mix of openness and engagement of all team members. Understand Where You Are Now. Knowing that you’re in a red ocean is a logical starting point, but the authors advocate the creation of a strategy canvas to fully understand the current state of play. Creating a blue ocean may be a positive step, but you need to understand why it’s your best option. Similar to a SWOT analysis (strengths, weaknesses, opportunities, threats), the strategy canvas serves a vital role in getting everyone on the same page before taking the creative step of building a blue ocean. Imagine Where You Could Be. Existing companies in well-established industries struggle to see beyond the commonly-accepted boundaries of their markets. The authors propose that identifying pain points that the industry currently imposes on buyers can provide valuable insights into new opportunities and potential blue oceans. The most difficult transition here is the move away from taking customers from your competition to identifying noncustomers who represent a new stream of demand and future growth potential. Find How To Get There. Rather than plunging straight into the first blue ocean you see, the authors propose a more systematic approach to the reconstruction of market boundaries. They offer six different paths to redraw established boundaries and create your blue ocean. Each path could potentially identify a new blue ocean. Make Your Move. The final step is to host a “blue ocean fair.” Here, the team creates a one-page strategy canvas for each potential ocean, showing the current reality and the proposed blue ocean offering, including the “leap in value” that will be created. Feedback is calibrated, and the decision is made on which strategic move to pursue. Blue Ocean Shift presents a straightforward process for making the shift from a crowded red ocean filled with competitors to a wide-open blue ocean of unlimited growth potential. 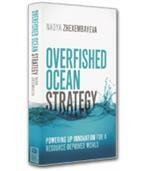 The authors offer seaworthy examples to help you navigate toward your blue ocean at minimal risk.